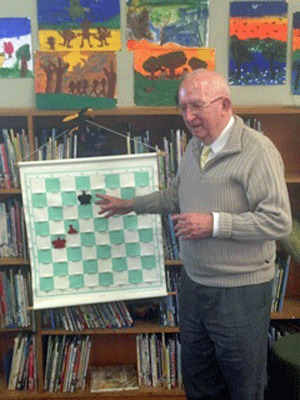 Chess has been taught at Ainslie School for over 22 years and was led by renowned Chess Coach Mr Keith Robertson, a retired Air Force Officer, educator and a local resident until December 2015. Keith had a great passion for the game of Chess, and the contribution that he believed the game could make to the lives of young people, saw him receive an ACT Children's Week Award in 2008. Staff, students and their families respected and admired Mr Robertson. All were in awe of his commitment, dedication, expertise, patience and perseverance. In February 2016, we welcomed Endre Ambrus as Ainslie School’s Chess Club coordinator. Endre is a FIDE Master with an actual rating of 2316. He currently teaches Chess for secondary school students and has conducted advanced classes for adults and juniors at the Canberra Chess Club. 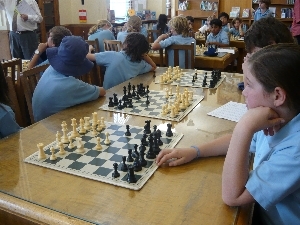 Chess classes are held on Friday's during learning sessions. Chess is an excellent way to develop critical thinking skills such as problem solving, decision making and lateral thinking. 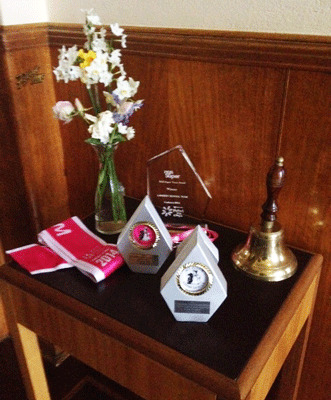 Our 'honour roll' of student successes includes our amazing senior girls team of Marcia L (Capt), Elinor F, Jasmine W and Sally J winning the ACT Schools Girls and Open Chess Championships on June 18, 2014.